If you’re a dog or cat lover, then you’ve probably wondered what they’re thinking about when they do the goofy things that they do. 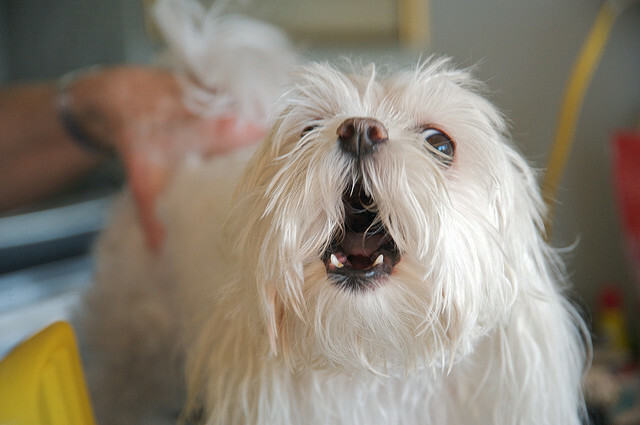 I People I know like to have one-sided conversations with their pets, but what if the conversation could go both ways? 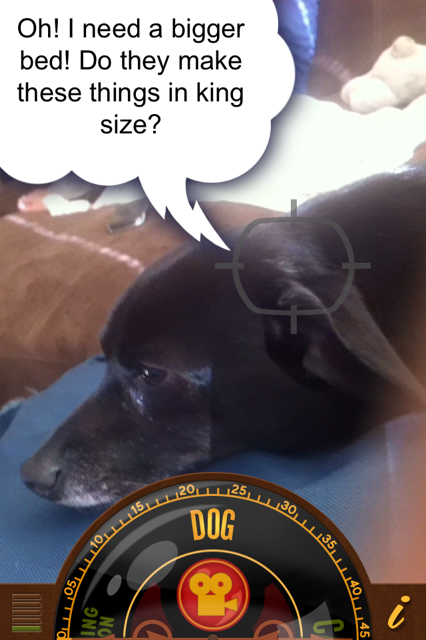 A fun app called Cross Tuner for iOS lets you turn your camera on your pet (or human friend) and drops funny thought bubbles into the frame that may or may not be something relevant to what you just said to them. You can even record the conversation and then share the video on Facebook or YouTube. The thought bubbles remain embedded in the video, as if you were having a real two-sided conversation. It has modes for dogs, cats, and um…zombies. In 1927 Professor Calvin Bartholomew Erkeley was on the brink of inventing a breakthrough device that could not only read the thoughts of animals, but also uncover the deeper, often unconscious thoughts of our evolutionary commonality. Professor Erkeley believed that woven into our very being, locked away behind thousands of years of evolution were thoughts that crossed over from one species to another. The Professor called his device a Cross Tuner. Unfortunately, Professor Erkeley’s ideas were decades ahead of the technology needed to prove his hypothesis, and his Cross Tuner faded into history. The Cross Tuner team definitely has an impressive sense of humor and massive imagination. While this is nothing more than a gag app, the more you talk into it, the more it seems to respond with intelligent things, so maybe there is something to it after all.